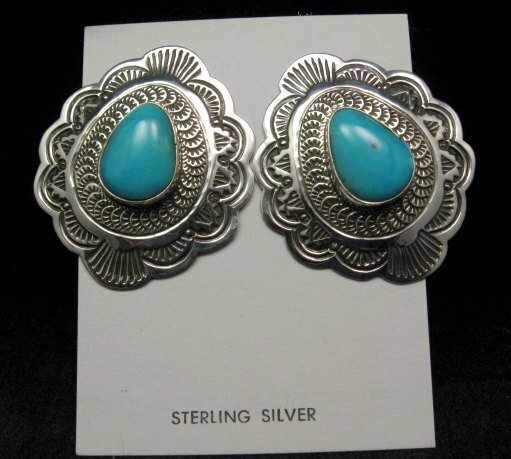 These stylish Navajo sterling silver earrings feature genuine turquoise stones, set in a old pawn style setting with scalloped edges and intricate stamp-work. The stampwork is deep-set and precise. 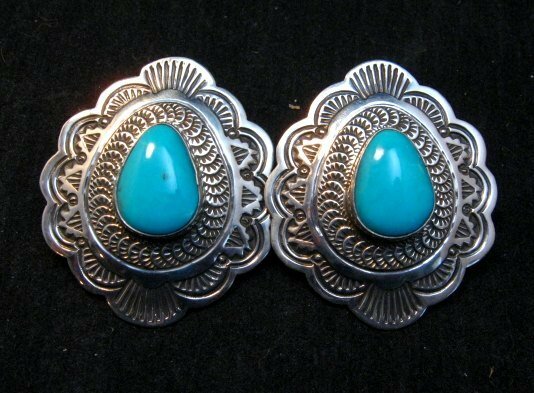 The earrings measures about 1-3/4 inch long by 1-1/2 inch wide. Each earring weighs 9.9 grams. SO the earrings are big yet still lightweight enough. 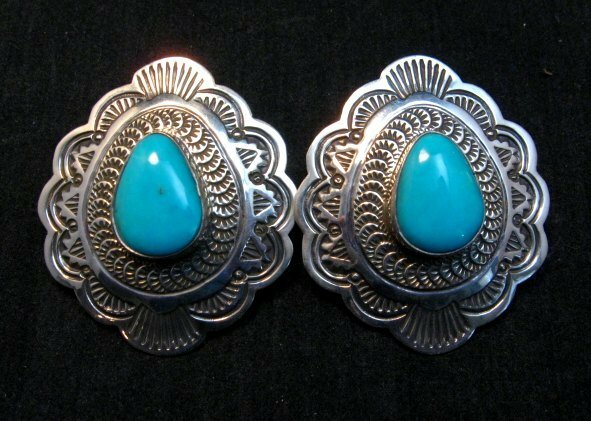 The posts are located near the top on the back of the earrings and the earrings are coved slightly (not flat) to lay nicely against your ear. Brand new and in perfect condition. 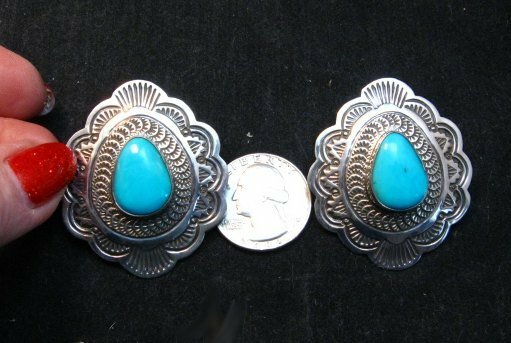 Hallmarked by the artist, Arnold Blackgoat. Gift box and Certificate of Authenticity included with your purchase.